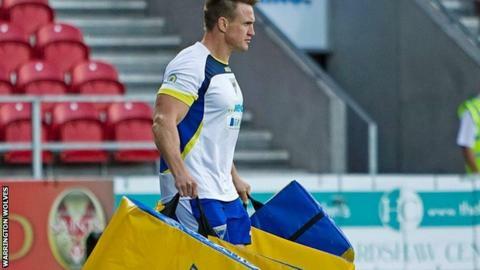 Super League Grand Finalists Warrington Wolves have extended the contracts of three of their coaching staff. First team coaches Willie Poching and Richard Marshall, and head of strength and conditioning Chris Baron will all stay at the club until November 2014. "I am pleased that these coaches are staying on to help continue to build this great club. "The last few years have seen the club grow year-on-year," head coach Tony Smith told the club's website. "I look forward to working with them all during the forthcoming season as we look to bring more of our young players through." Marshall stepped up to first-team duties from the academy ahead of the 2010 season, with Baron arriving at the same time from Leicester Tigers and Poching joining the staff from Leeds Rhinos for the following season. Baron also worked with England during the recent World Cup.